Spring in Lake Tahoe is a sacred time of year, one that’s revered by locals. The characteristic slowdown in activity known as the shoulder season between winter and summer means left-hand turns in town are exponentially easier to make and ski runs are nearly deserted. Any eerie feelings of abandoned civilization you might have driving through town simply means that many locals are out exploring the backcountry, enjoying the heck out of these blissful mountains we call home. But the ghost town-feel of this mountain town in the shoulder season shouldn’t be confused for a lack of things to do or adventures to be had. On the contrary, this is the ultimate time for Tahoe locals to take advantage of uncrowded trailheads and warm weather; in other words, near-perfect conditions for getting outside. Spring in Tahoe means agonizing choices between skis, paddles, or pedals, though the ambitious few may opt to do all three in a single day. Here, some inspiration for how to enjoy spring in Lake Tahoe, with options for snow and no-snow activities. 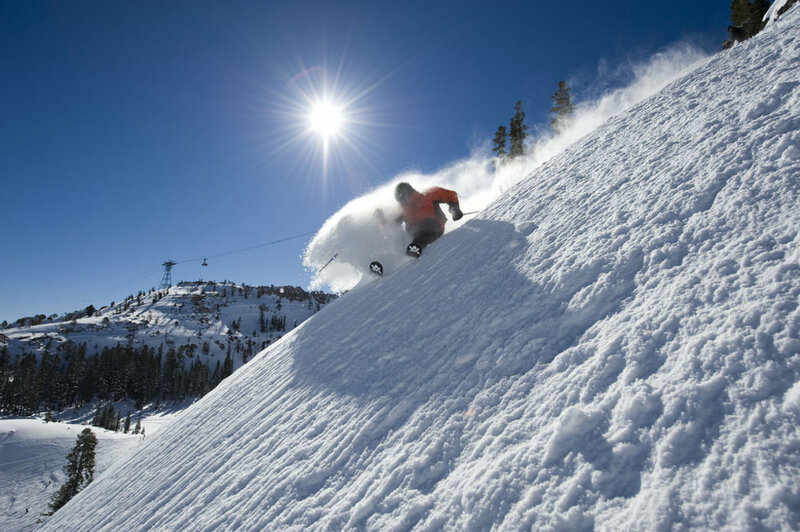 Spring skiing at Squaw Valley Alpine Meadows means plenty of bluebird skies. The first average winter since 2011 has provided Lake Tahoe with a tremendous snowpack that will keep us harvesting corn snow well into May. Several options still exist for those clinging to the last gasps of winter, itching to get as many turns in as humanly possible before packing away the skis for the summer. Those looking for some laid-back resort skiing can catch the lifts at Mt. Rose Ski Resort until May 8 and Squaw Valley Alpine Meadows until May 30. Backcountry skiers and riders who are well-versed in the loose-wet avalanche problems common in the search for spring corn can find stashes of steep lines and soulful turns in places like Mt. Tallac’s Cathedral Bowl or the high elevation terrain near Carson Pass. When timed perfectly between the hard, overnight refreeze and the sloppy knee-deep slush, these corn snow runs will rival even your best powder days from the middle of winter. The Sierra Avalanche Center stops daily forecasting in mid-April, so be sure that everyone in the group has the skills, knowledge, and gear to travel in backcountry terrain. 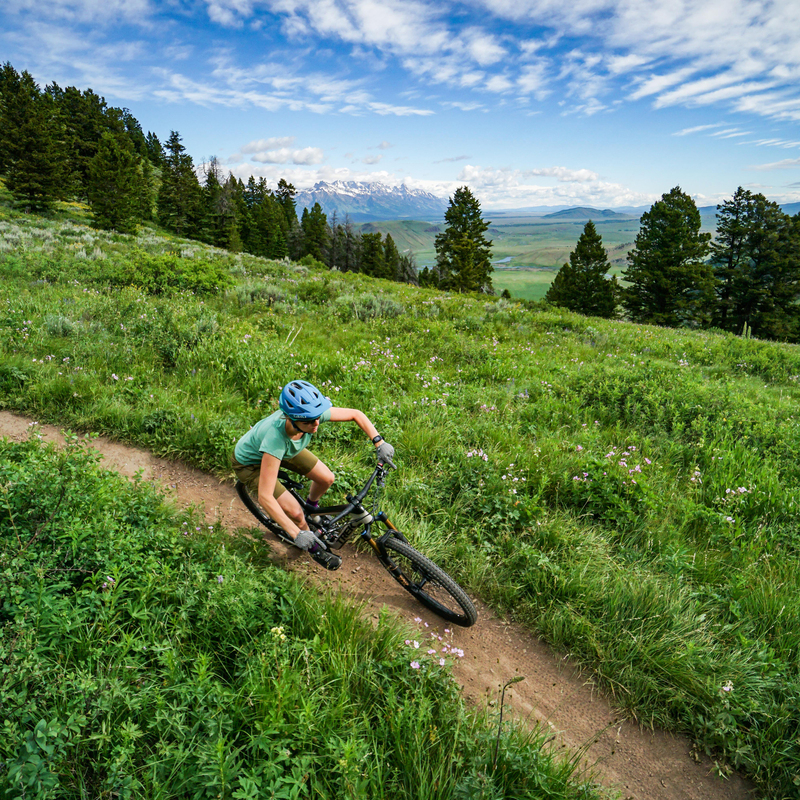 As the snow level recedes higher into the mountains and lake level trails begin to thaw, popular mountain bike trails begin to emerge, offering miles of technical single-track around the basin. Trails like Corral Loop on the South Shore provide flowing banked turns through legendary “brown pow”: perfectly packed trails that are best found right after summer rainstorms or spring thaw. Those looking to try something new on their bike (spring is a time for beginnings, after all) can check out the two nationally recognized bike parks in the Tahoe-Truckee Region. The Truckee Bike Park covers the North Tahoe region, while the Bijou Bike Park covers the South Tahoe region, both with incredible pump-tracks, dirt jumps, and flow lines for beginners and experts alike. Spring kayaking on Lake Tahoe’s east shore is one of the most scenic paddles in the country. Nothing beats the experience of a bluebird spring day on Lake Tahoe’s calm, crystal clear waters from the deck of a kayak or stand-up paddle board. The lake’s amazing clarity allows you to see with incredible sharpness the smooth, sandy lake-bottom peppered with house-sized boulders to depths of more than 70 feet. For a stunning tour of Lake Tahoe’s craggy east shore, try paddling north from the Cave Rock boat launch. 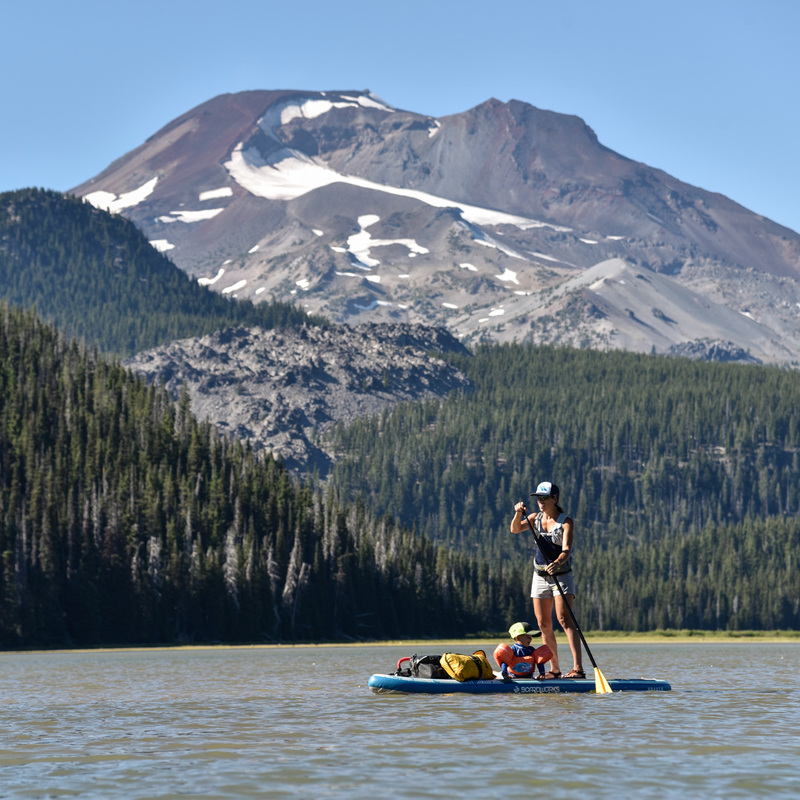 This serene paddle trip is best done in the mid-morning while the water is still like glass. To access Cave Rock from South Lake Tahoe, take Highway 50 toward Carson City for approximately 10 miles, turning left at the Cave Rock boat launch just before the tunnel through Cave Rock. A $7-10 fee applies for all users at this site. 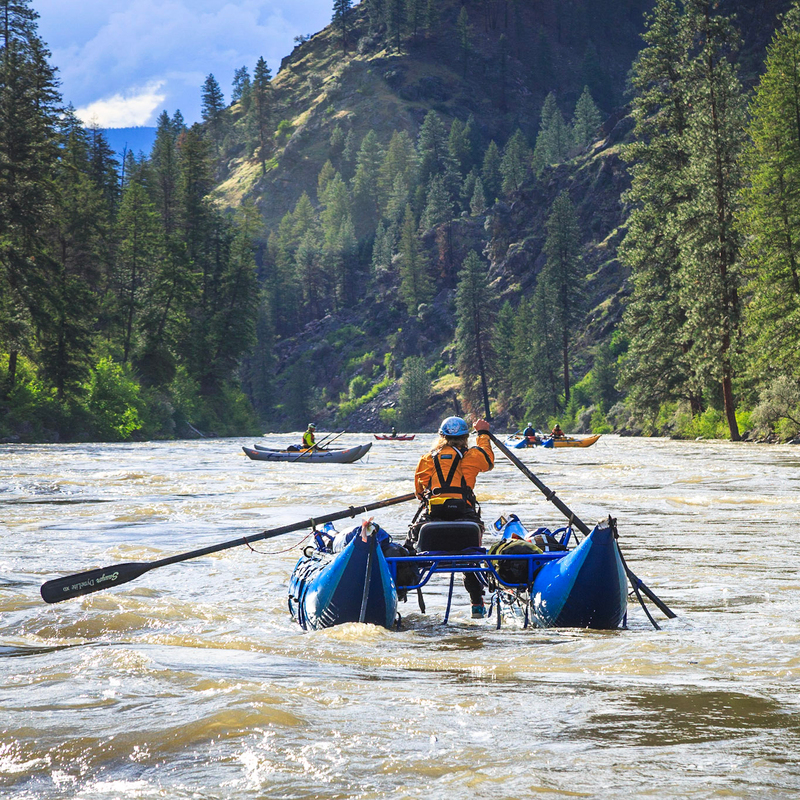 Ambitious paddlers looking for a multi-sport adventure may consider a trip to the Emerald Bay Boat-In Campground, which usually opens for the season in May. The opportunity to camp on the shores of one of Tahoe’s most iconic destinations is one that shouldn’t be passed up. Paddlers can park and launch at D.L. Bliss State Park before cruising over to the scenic campground nestled amongst towering pines. To get to D.L. Bliss State Park from South Lake Tahoe, take Highway 89 north toward Tahoe City for approximately 12 miles, then turn right at the well-signed park entrance.